As a woman’s body is preparing to give birth, it undergoes many, many changes. Some of them feel wonderful and exciting, and some of them feel downright uncomfortable. Each stage of pregnancy presents different challenges for the balance of the mother’s body. The curve of the low back (lordosis) tends to increase to hold the new belly, often causing stress and pain there and in the pelvis. The enlarging uterus pulls on the supportive ligaments (round and uterosacral ligaments) which attach it to the pubic bone and sacrum. This may result in pain around the front and sides of the abdomen, or felt in the midline buttocks where the sacrum is being tugged. In order for our bodies to allow the types of stretch necessary for pregnancy and delivery, it releases hormones (relaxin) that promote joint laxity- allowing them to open larger than they normally could. This is particularly true of the pelvis. We are thankful for this, yet it often contributes to a sense of joint instability and pain. The growing breasts force the shoulders to round forward, which may create midback, neck and rib discomfort. And this one is not just during pregnancy– wait until you are holding and nursing that beautiful newborn, and see how hard it is to keep those shoulders back. 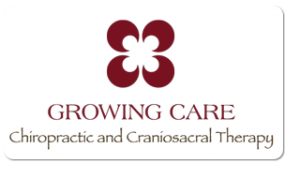 We offer Cranio-Sacral therapy and gentle, pregnancy-specific, Chiropractic care. These help relieve pain on stressed joints and muscles. We also offer care to the newborn to ensure that their little body and brain will not have to compensate for subtle cranial shifts that occurred during delivery. We maintain a strong focus on the pelvis and work to promote alignment here so that the baby has the greatest ability to be in the most optimum labor position. We are certified in the Webster Technique and are focused on alleviating any level of intrauterine constraint. We do thorough evaluations to determine what areas of your body need strengthening in order to gain joint stability and to facilitate a smooth delivery and recovery. We help identify points of postural strain and coach you through making changes to alleviate pain. This care extends into motherhood, when a whole new world of postural strains need to be anticipated.